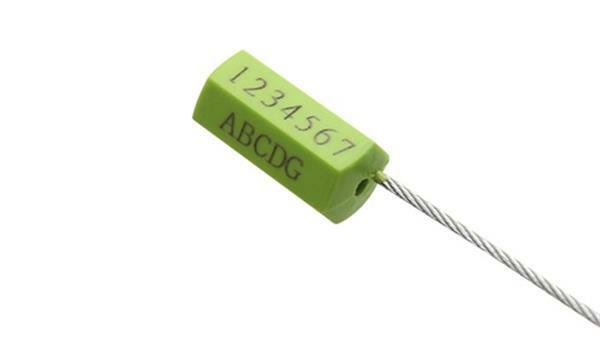 Security seals can be divided to cable seal, plastic seal, bolt seal, meter seal, etc. and most popular is cable seal. And among cable seal, hexagon cable seal wins many customers’ appraise. Hexagon cable seal adopts powder metallurgy with ABS wrapped and matching with common aviation wire rope which can reduce cost and with good strength. It is suitable for small and medium size enterprises. Locking by hand and easy in use. Barcode can be printed to prevent anti-theft. Plier is used to cut off. Color: blue, yellow, red, white, black, etc. Note: wire length can be as customers request. Application: container, cabinet, oil tank trucks, mineral vehicle, mechanical equipment, products packaging, shipping/land/air transportation, banks, customs, etc.